Nathan is a traveller, a strategist, a lateral thinker, and a board games geek. Nathan is one of the managing Directors of Urban Wilderness. His focus is on place making, urban greening and public realm and he is an experienced masterplanner and landscape strategist, and considers landscape architecture and urban design to play an essential part in helping to manage the global trend towards urbanisation. Nathan became a Chartered Member of the Landscape Institute in 2005. 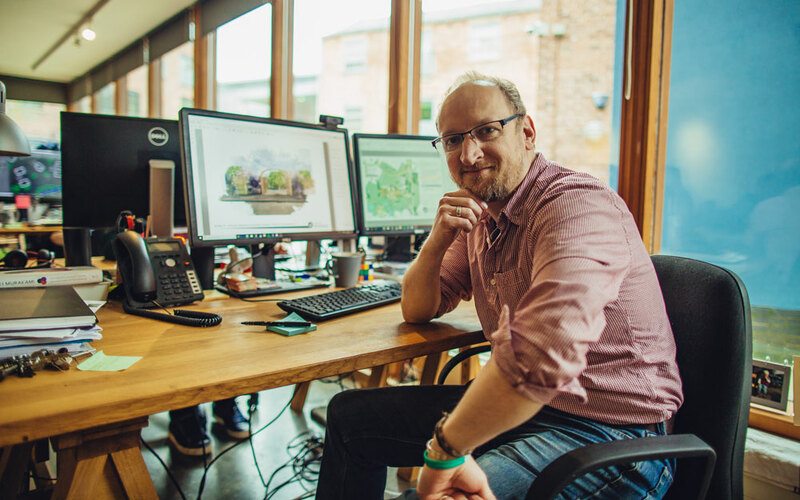 Prior to chartership Nathan completed a dual honours degree in Landscape Architecture and Town and Regional Planning (1995-1998), and a Landscape Diploma (1999-2000), both from the University of Sheffield. Nathan has led a varied career, from the promotion, masterplanning, detailed landscape design and implementation of business parks, commercial developments, university estates and large housing schemes to public art strategies, urban greening, meanwhile spaces, environmental auditing and landscape assessment. Nathan is a committed educator. In recent years he has enjoyed taking on the role of providing education and support to the landscape students at Sheffield University as a course tutor. Nathan also provides course accreditation support and guidance to the Landscape Institute as a member of the Professional Review Groups for both the University of Sheffield and Sheffield Hallam University.